A very original 1973 Jaguar E-Type Series III V12 Manual Roadster is set to emerge into the limelight after being hidden away for more than 25 years, when the E Type for sale goes under the hammer in Silverstone Auctions’ May Sale. 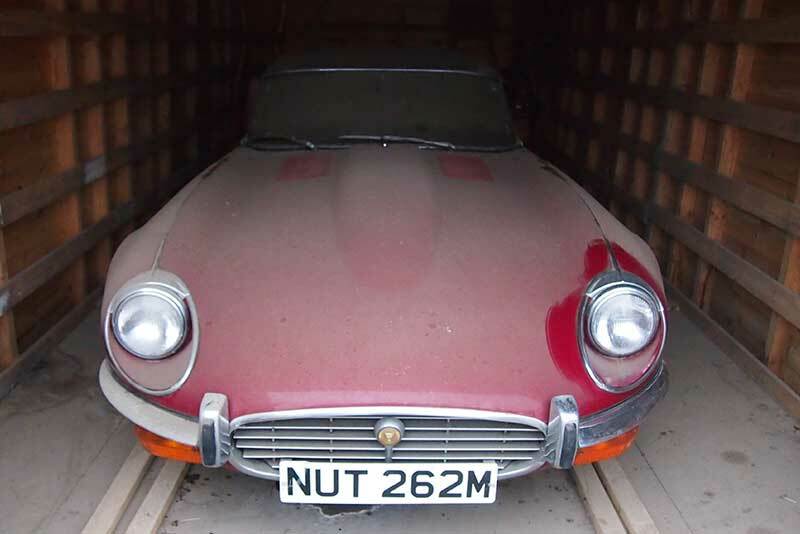 These days originality is everything with classic cars and with Jaguar E-Type prices on the rise, there is bound to be plenty of interest in this low mileage, Jaguar E-Type for sale. The Series III V12 has amazingly remained within the same family from new. The one family owned car was purchased new by the current owner’s grandfather and registered on the 15th of August 1973. Yet the classic sports car was rarely used and spent much of its early life in a garage at the family home in Warwickshire. In April 1993 ownership passed onto the son of the first owner yet still remained unused in the same garage. 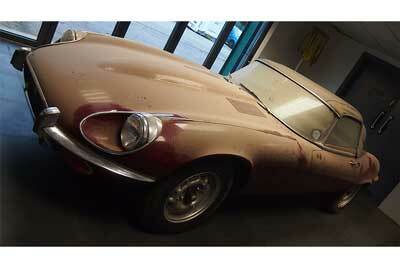 The E-Type was however properly laid up, with oil put into the cylinders. The car was given a full service in October 2006 and once again placed into storage. It was passed onto the current owner when his father died in September 2014. The dust covered car will now receive a careful recomissioning at classic car specialists Tolman Motorsports before the auction on May 23rd. Having been used so little the car has covered just over 7,700 miles from new and remains essentially as delivered from Jaguar’s Coventry factory. All the interior is completely original as is the soft top. The original spare tyre and tool kit is still with the car and it even comes with the last tax disc from the last time it was taxed – 31/10/90. Please visit the Silverstone Auctions website for more information on this car.